On March 20, 2018 Vermilion County voters will be given an opportunity to cast a vote regarding a County Schools Facility Tax. The following is information about how this proposed tax would impact Westville School District and Westville residents. What is the County School Facility Tax? Since 2007, Illinois voters have had the option to approve a 1% County Schools Facility Tax (commonly known as a sales tax), that shifts facility funding away from property taxes. Items that are currently subject to sales tax will be subject to the CSFT (no new items are taxed). Some items are exempt from the CSFT. What is exempt from CSFT? How can money be used? Who decides how money is used? All financial decisions are based on local control and made exclusively by the locally elected school board. How much money would Westville receive if implemented? Each school district in the county would receive a portion of sales tax money that is based on student enrollment. The most recent projection for Westville projected $550,000 in new money. How would Westville use the money? The Westville school board has identified three priorities for new money if approved by voters. Priority#3 - Improve Opportunities for Students at Giacoma expand PK facilities and improving transportation flow to reduce parent traffic on Walnut Street, at WJHS expand classrooms to allow sixth grade to move to middle school model, at WHS build a performing arts center, install AC in varsity gym, improve track and restrooms at football field complex. What will voters see on the ballot? Shall a retailers’ occupation tax and a service occupation tax (commonly referred to as “Sales Tax”) be imposed in Vermilion County at a rate of one (1) percent to be used exclusively for school facility purposes? Where is information about Voter registration? March 20, 2018, is a primary election. You may register with Vermilion County Clerk by February 20, 2108. Online registration extends until March 4, 2018. Grace period registration runs February 21 until March 20. 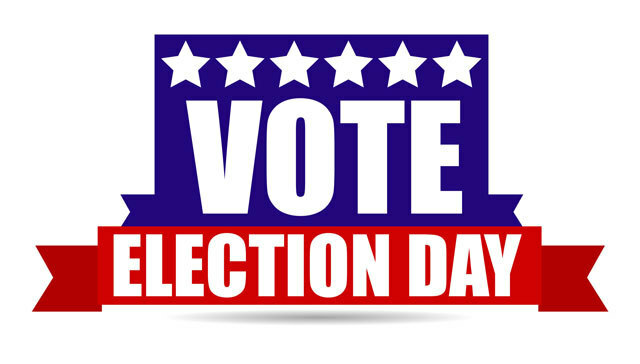 Early voting begins February 8 until March 19. If you have voting questions, contact the Vermilion County Clerk at 554-1900. Where can one find more information on this issue? The district has put together an informational brochure to help get information to our community. Additional questions can be made to the school superintendent, Dr. Seth Miller at 267-3141.